The Oregon Territorial Legislature created four counties around Puget Sound on December 22nd, 1852, paying little attention to population. 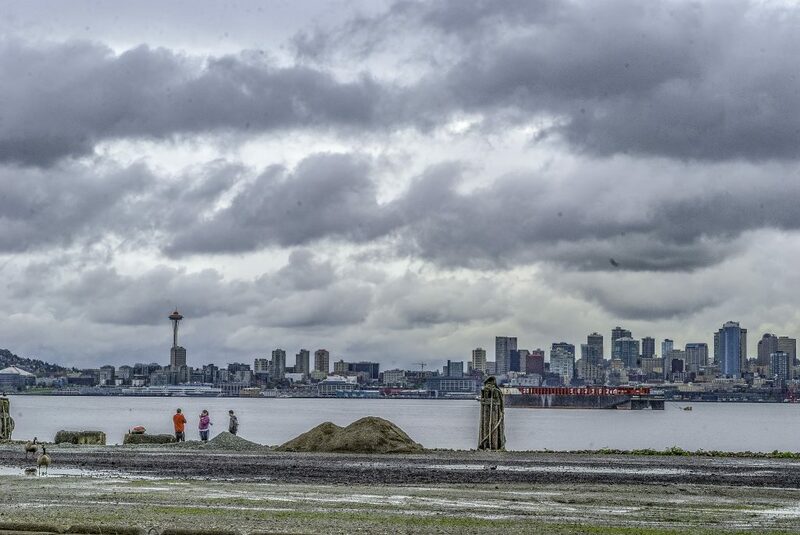 Today, Seattle is the most populous city in the state and King County the most populous county. However, in 1852 few people resided in the new county. In recognition, the Territorial Legislature attached King County to Pierce County for judicial purposes on January 24th, 1853. Of course, the population increased over subsequent years. Meanwhile, the footprint of the County shrank several times as King County exchanged land with Jefferson and Pierce. 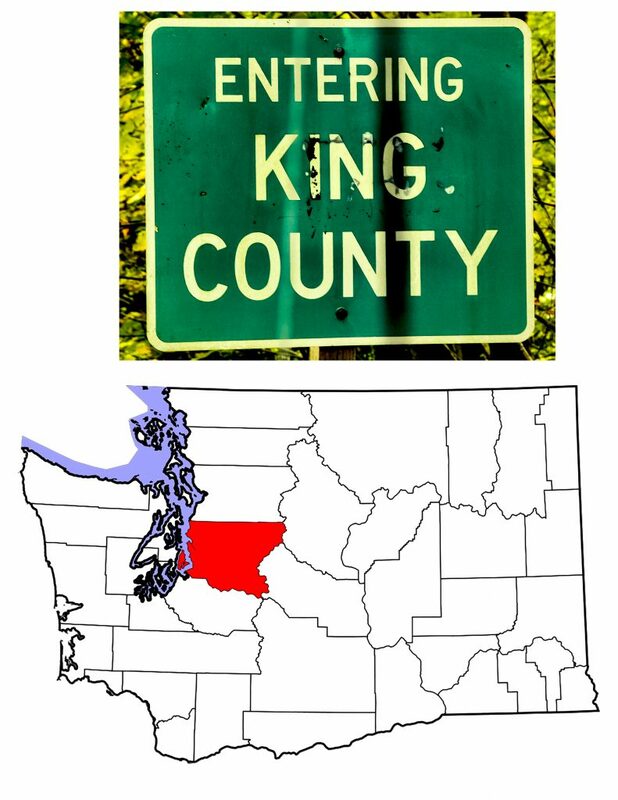 Three new counties came into being with land taken from King County: Sawamish (now Mason) in 1854, Slaughter (now Kitsap) in 1857, and Snohomish in 1861. The final change occurred on March 12, 1901. All of Tacoma Harbor, previously split between King and Pierce Counties, became entirely within the borders of Pierce County. On November 2nd, 1852, the U.S. elected a new President: Democrat Franklin Pierce, formerly Senator from New Hampshire. Pierce defeated Winfield Scott, a Whig, and John P. Hale, who ran on the Free Soil ticket. The new President’s running mate was a Senator from Alabama: William Rufus Devane King. I find King a fascinating character on many fronts. Note that on February 24th, 1986, the King County Council voted that the County’s name should honor Martin Luther King, Jr. The vote was five to four. Nineteen years later, the Washington State Legislature ratified this decision. Washington Governor Christine Gregoire signed it into law on April 19th, 2005. Dr. King was a powerful figure in 20th Century U.S. history, but Senator King was a powerful figure in 19th Century America. Unfortunately, he was on the wrong side–on many issues. A Jacksonian Democrat, King went to the Senate when Alabama joined the Union in 1819. At that time, State Legislatures chose U.S. Senators, not popular vote. King remained in office until 1844 when he became U.S. Minister to France. In 1846, he rejoined the Senate and served until his election as Vice-President. Senator King was a slave owner. Indeed his family owned one of the country’s largest collections of slaves. King argued in Congress against abolishing slavery, no surprise there, but also argued against Southern secession. He was also the live-in partner of James Buchanan for thirteen years, from 1840 until his death in 1852. William R.D. King was our only bachelor Vice-President and Buchanan our only bachelor President. King was the only U.S. executive official to take the oath of office on foreign soil. At the time of the election, King was in Cuba hoping to recover from tuberculosis. A special act of Congress allowed him to take the Oath of Office in that country. Unfortunately, he never recovered from his disease, and died forty-five days into the new administration’s term. This made him the shortest serving Vice-President in U.S. history who did not succeed a dead President. 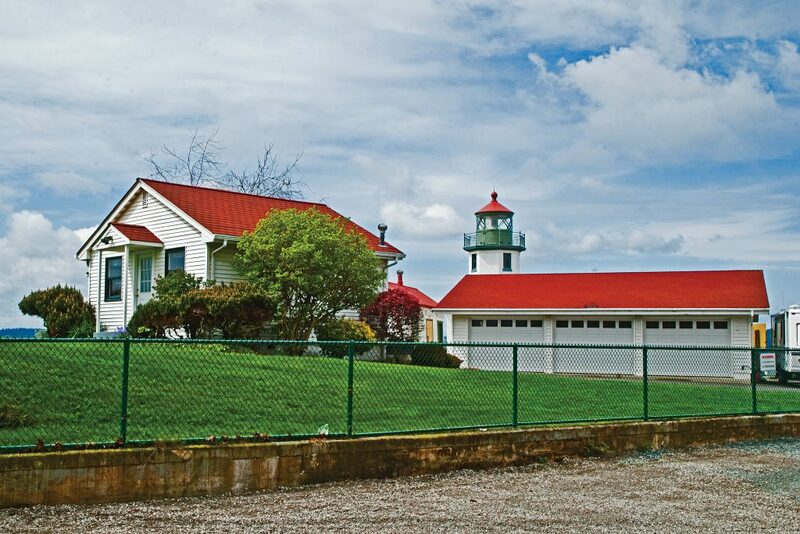 Prior to 1851, there were seventeen dxʷdəwʔabš (Duwamish) villages in or near what is now Seattle. They had lived in the area for hundreds, possibly thousands of years. The dxʷdəwʔabš spoke a dialect of the dxʷləšucid (Lushootseed) language as did their neighbors the dxʷsəq̓ʷəb (Suquamish). Si’ahl or siʔał as the dxʷsəq̓ʷəb knew him was born in 1780. His mother was dxʷdəwʔabš. His father the chief of the dxʷsəq̓ʷəb tribe. By 1851, he had become Chief of both tribes and when the Denny party landed at Al-ki Point, the dxʷdəwʔabš under the leadership of si’ahl helped them survive their first winter. Thus began the history of Seattle, named after the great chief in a close approximation of the way his name would have sounded to ears used to American English. Today, a monument stands on Al-ki Beach noting the arrival of the Denny Party and the birth of Seattle. Some of the Denny party stayed on the peninsula behind Al-ki Point, but by 1852, most of them had crossed from what is now West Seattle to the land adjacent to Elliot Bay, today’s Pioneer Square. 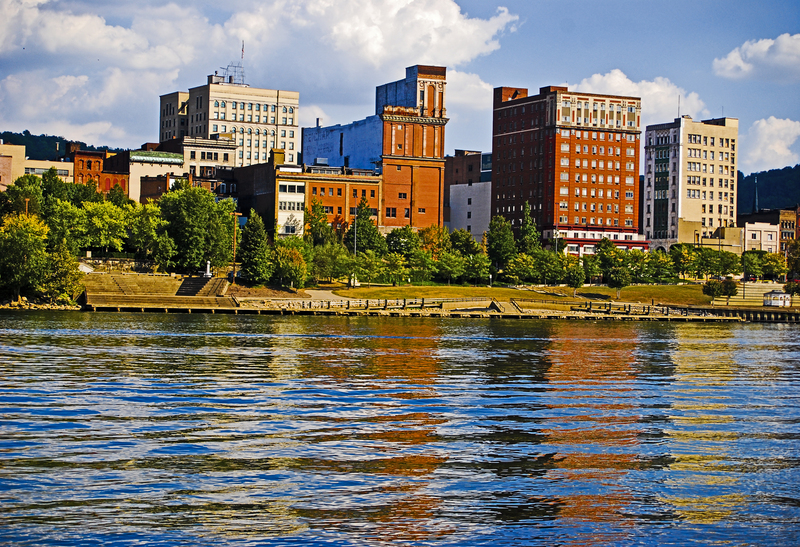 The city grew up around them, nurtured by logging, shipping, and fishing. As with neighboring Pierce County, mining for coal soon became an important industry. By 1875, coal had become more important than logging to the County’s economy. Looking at the area today, it’s difficult to imagine the amount of coal that was mined and shipped from King County. 1861 saw the founding of the Territorial University in Seattle, and in 1869 the first Seattle Public Library opened. Seattle’s growth came largely in the last decade of the nineteenth and the first couple decades of the twentieth century. Only 3,533 people called the city home in 1880. That number increased more than ten-fold by the 1890 count of 42,837, and the number doubled again by 1900’s Census which showed over 80,000 people living in the city. By 1900, Seattle had survived both the Great Fire of 1889, and the Klondike Gold Rush of 1897. The city started annexing surrounding areas which doubled the population twice more. By 1910, almost a quarter million people called Seattle home, and while the population has continued to climb since then, that growth has been more incremental than explosive. based in suburban Renton, sixteen miles from downtown Seattle, is now a multi-national corporation. I read recently that Seattle tells the rest of the U.S. what to read. This is largely due to three corporations, all based in King County, that are responsible for buying and then selling books by the carload. Jeff Bezos founded Amazon in 1994 as an on-line bookstore. Today you can buy pretty much anything you want from Amazon, but books remain an important part of their inventory. Costco, based in suburban Issaquah, sells a wide variety of products, but every Costco store has a book section. Similarly, no one thinks of Starbucks as a bookstore. Yet every Starbucks has a gift kiosk that sells, among other things, a book–one single title available at a time. When Starbucks started its book program in 2006, it chose Mitch Ablom’s second novel, For One More Day, and made it available in 5,400 coffee shops across the nation. One can argue that transportation is what has built King County. Certainly the number of people coming through the area on their way to the Klondike added to both the County’s population and industry. William Boeing chosing Seattle for his home base had a vital impact. The Washington State Ferries operate twenty terminals in the Puget Sound region, four of which are in King County. Floating bridges across Lake Washington connect downtown Seattle with the eastern Suburbs. And then there is the Interstate Highway System. The portion of Interstate Highway 5 crossing King County was built in 1957. Interstate 405 runs parallel but east of Lake Washington, and was completed in 1971. (One can ask if any highway is ever “completed.”) Interstate 90 follows old Native American trails east from Seattle, leaving King County at Snoqualmie Pass. The western end of I-90, near downtown Seattle, was not completed until 1993. The website for King County Parks lists 163 “Parks, Trails and Open Space” available for your enjoyment. This list does NOT include the over 400 parks run by Seattle’s Parks and Recreation Department. Volunteer Park, on a ridge above downtown, is perhaps the crown jewel in the city’s park system. Designed by Charles John Olmstead, the 48 acre park sits on land purchased by the city in 1876. Volunteer Park is home to the Seattle Asian Art Museum, a 1906 water tower with observation deck, and Isamu Noguchi’s sculpture Black Sun, which most people call the doughnut. From “the doughnut,” you have a good view of the Space Needle. 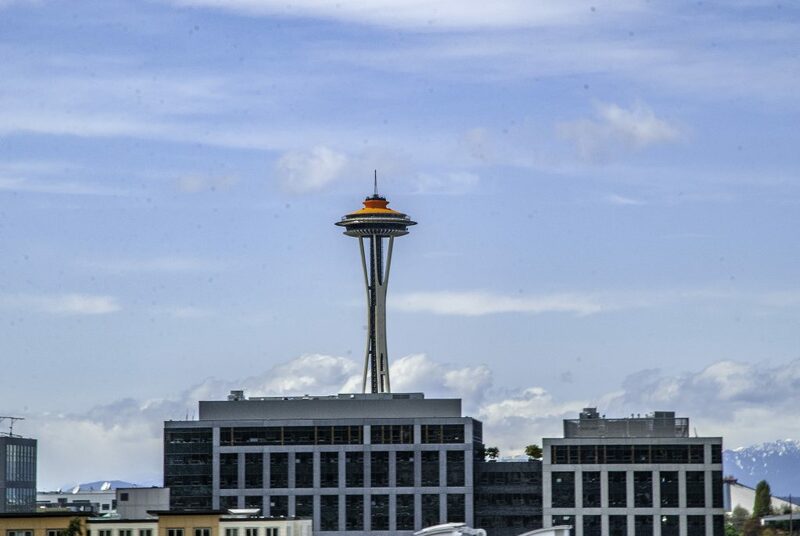 Built for the 1962 Century 21 Exposition, the Space Needle has become THE Seattle Icon. Rising above Seattle Center, the structure houses a revolving restaurant, an observation deck, and the world’s only revolving glass floor. 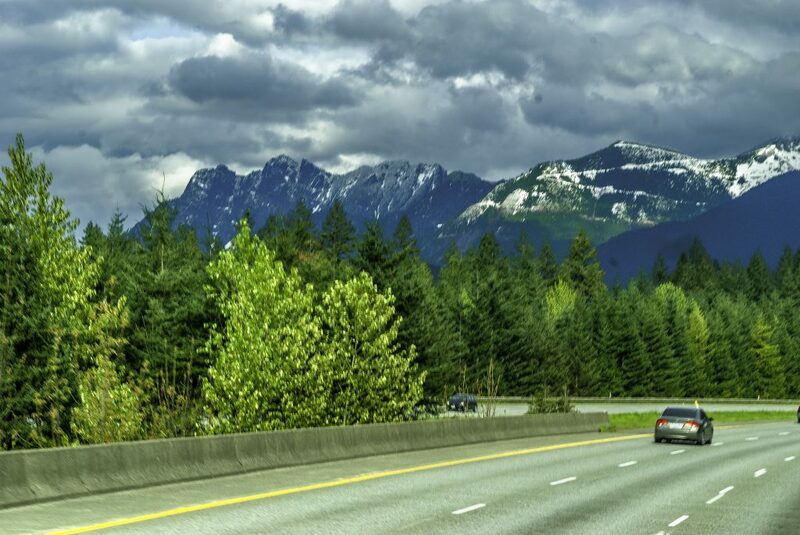 Heading east on I-90, the last King County exit (52) takes you to Alpental, part of the Snoqualmie Pass Ski Area. 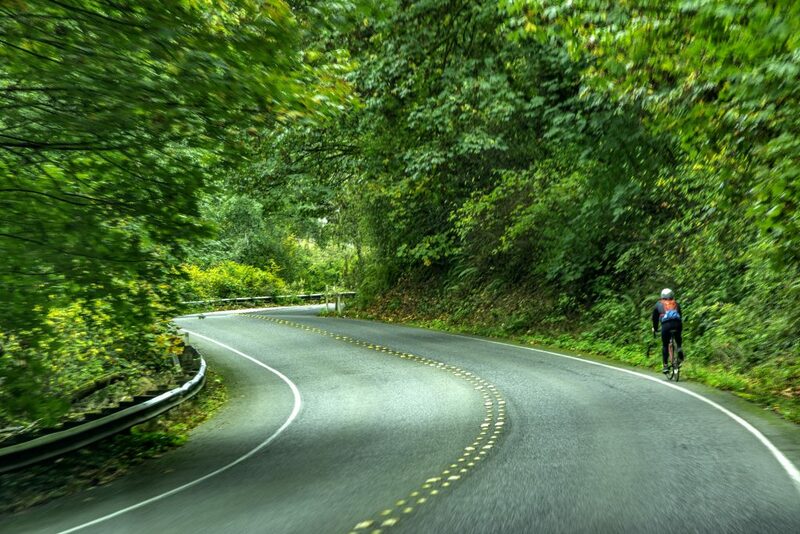 Founded as a Seattle City Park in 1933, the original ski runs became a private enterprise in 1940. Today, Snoqualmie Pass is a group of four previously separate ski runs, with 27 lifts. Longest vertical drop is 2,280 feet at Alpental. The closest ski area to Seattle, Snoqualmie is open, in season, seven days a week with runs operating six nights a week as well.